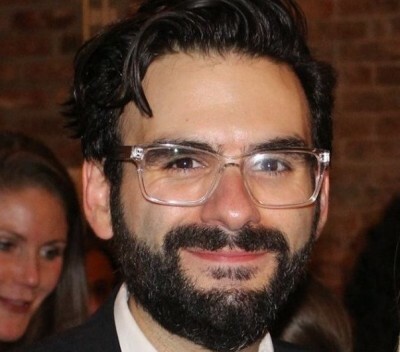 Joe Iconis is a writer and performer. He is a creature of Manhattan and can frequently be spotted banging away on a dirty old piano. His songs are featured on Season 2 of NBC’s Smash. A composer – lyricist – bookwriter, he has authored the musicals Be More Chill, Annie Golden: Bounty Hunter, Yo!, Bloodsong of Love, The Black Suits, ReWrite, The Plant That Ate Dirty Socks and We The People. He’s been nominated for two Drama Desk Awards, a Lucille Lortel Award, and is the recipient of an Ed Kleban Award, a Jonathan Larson Award, a Doris Duke Grant, and several other fancy-sounding writing awards. Joe is deliriously inspired by Robert Altman, Dolly Parton, Martin Scorcese, Sardi’s, The Rolling Stones, whiskey, The Muppets, and The Family of artists he frequently surrounds himself with. To read more about Joe Iconis, check out his website here. “Alysha Umphress, Joe Iconis & More Set for Music for Autism Benefit, 10/12,” September 29, 2015. Full story.